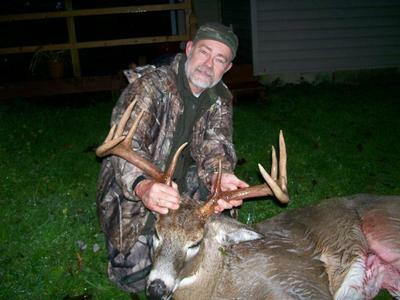 10-point taken in Cortland County Nov. 1, 2012 with PSE bow at 20 yds.Green score is 136. Actual weight dressed was 198 lbs. Raining and windy. Taken at 4pm. You never know. One grunt call and in he came.